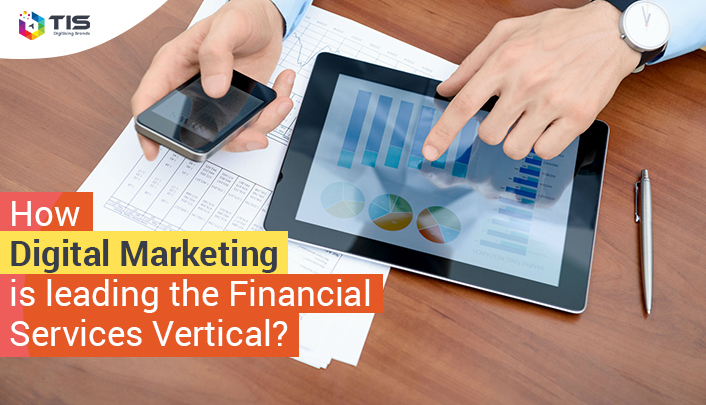 How Digital Marketing is leading in Financial Services Vertical? Home / Internet Marketing / How Digital Marketing is Leading the Disruptive Innovation Movement in Financial Services Vertical? A study by the Partnership Fund reports that a rising number of Generation Y people are embracing the GAFA (Google, Apple, Facebook and Amazon) model as an alternative to legacy financial services providers. It reports that 40% of Gen Y users are willing to consider Google and Amazon for banking. Another 36% of the Gen Y people use the GAFA model for insurance products. 46% of Gen Y people use the GAFA model for investment advisory. The Millennial and Z generations (born between 1977 and 1995 and after 1995 respectively) are driven by distrust for legacy financial service providers in the aftermath of the 2008 crisis. Having picked up graduate school debt, 48% of the millennial generation users do not have an investment account and are highly likely to look up for investment advisory, post retirement savings solutions and term insurance plans on search engines like Google and interact with wealth planners on social media platforms like Facebook. Emerging economies are altering policy design to achieve financial inclusion while maintaining fiscal discipline, asset quality and cost rationalization. It is pushing banks to reach out to customers on digital platforms, create new digital banking products, engage in conversations for customer support delivery and conduct market research online. Banks and financial enterprises are leveraging social media marketing to market and distribute products to customers. Content marketing on Facebook and Google Plus enable segmentation, real time marketing, reduced acquisition costs and faster time to market. BFSI enterprises are leveraging Facebook to aid design thinking for new product development by engaging in conversations with their customers. Banks are allowing customers to access their bank accounts through Facebook accounts for wire transfers, monitoring of credit card bills and sort the most voted and popular features to innovate products. Utilities like ISPs, telecom and energy distribution companies need to engage in recurring billing and invoicing. Banks are integrating features for recurring utility payments to mobile apps. It allows users to make payments by accessing their social media accounts. While the deployment of digital marketing in the BFSI vertical has begun to gain traction, policy design and business regulations are still evolving. With the right momentum it should not be too difficult for financial enterprises to reimagine financial inclusion and cashless economies faster than we think.